The average height of a female in Ireland is about 5 foot 5 inches. The average height of a male in Ireland is around 5 foot 8 inches. If you are considerably taller than these “averages”, you are probably familiar with how awkward and uncomfortable seating and chairs can be. Indeed, there is no doubt that the majority of seating is designed specifically to suit the needs of those in and around average height. If you are 6 foot 3 or taller, the average chair can leave you having to slouch or sit awkwardly - maintaining good posture just isn’t an option in those situations! Taller people suffer more Musculoskeletal Disorders such as back and neck pain than individuals of an average height. This is due to the longer length of their spine and also because the need to deform their body more to adapt to chairs and furniture designed for the “average person”. Studies show this deformation force while sitting speeds up degeneration of the discs in the spine. This leads to discomfort pain and potentially chronic neck and back pain. Providing taller people with the right seating, furniture and equipment is crucial to enable them to work in good posture, reduce the risk of injury and improve their productivity. When choosing furniture, especially for a work environment, you must consider the potential height of your employees. If you choose average height desks and chairs, you could be forcing tall people to work in an uncomfortable position, which could potentially cause back pain and neck pain. Upon hiring an employee, it is important to arrange for a desk and chair which supports their height. 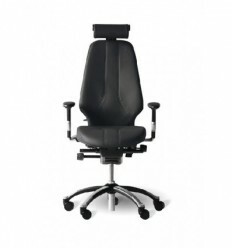 There are a vast selection of bigger chairs available which offer seat height adjustments and support approporiate leg room, presssure distribution and feet positioning of taller people. 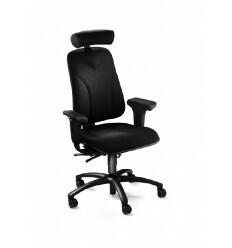 An office chair for a very tall person should have a tall backrest, a wide seat berth and potentially an adjustable headrest. 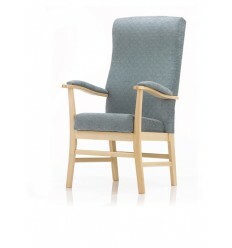 The armrests should be adjustable for both width and height too. Office seating for very tall people is not just about the choice of chair however. The choice of desk is equally as important to ensuring that your employee can work comfortably, maintain good posture and therefore avoid the limitations of back pain. 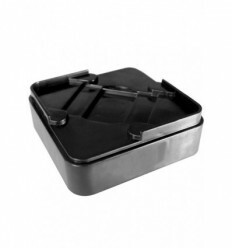 An appropriate desk height is also key to avoiding injury from repetitive strain. Simply putting blocks under a desk to adjust its height will not suffice. There are a number of height adjustable desks available which can be easily adapted to suit the needs of the employee. When a tall person says “It’s OK, I’d rather stand”, this is just a polite way of saying “I’d rather stand up than put my body through the uncomfortable and painful experience of squashing or squirming about in a chair that is too small for me”. For those of you taller people who work or study at home, it is equally important to ensure that your chair and desk are height adjustable. 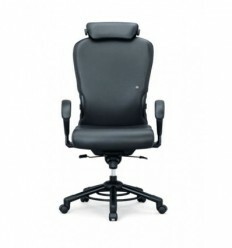 If you intend on sitting somewhere for a lengthy period of time, it needs to offer correct posture and spine support. Tall people account for a substantial percentage of back and neck pain sufferers. Such complaints are avoidable by ensuring appropriate seating is available in both your workplace and your home. 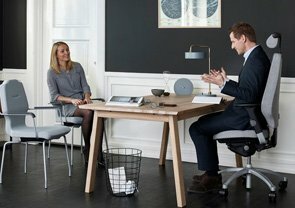 Height adjustable tables are available in a variety of designs from boardroom tables to simple, home office computer desks. A tall person should not have to suffer any discomfort simply to sit down. With the variety of chairs and seating available for taller people, there simply is not any reason why they should have to!